To make room for Vazquez, the Red Sox made the difficult choice of optioning Swihart. Swihart will get consistent at-bats with Pawtucket, and he will play both catcher and left field. Tim Britton of the Providence Journal details what is next for the promising young catcher as he tries to earn his way back to the big leagues. As Britton points out, the struggle is maximizing Swihart's value while optimizing the roster as a whole. 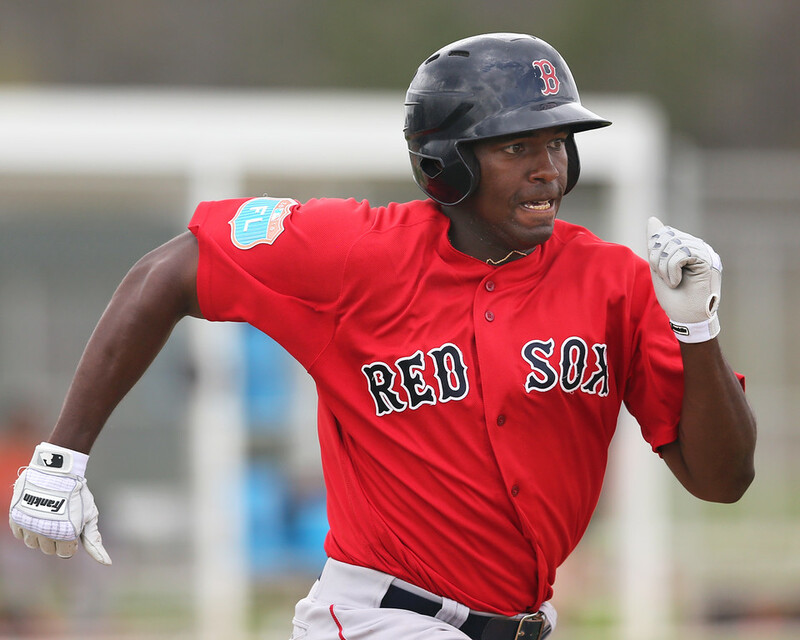 Another player with a cloudy future is Castillo, who will now be a full-time outfielder with the PawSox after failing to earn playing time with Boston in the early-going. As Jen McCaffrey of MassLive.com notes, Castillo only had four plate appearances over the first seven games, and the Red Sox hope he tears the cover off the ball and forces a difficult decision down the road. Hernandez is a bit of an afterthought in these moves, but he is the 12th-ranked prospect in the system on SoxProspects.com, and he has the potential to carve out a good career as a utility infielder. Originally acquired from the Cubs in the Felix Doubront trade, Hernandez has mostly played shortstop over the last two years, but also has some experience at second base. He recorded his first major league hit in Sunday's game, and Julian Benbow of the Boston Globe talked with him about sharing the middle of the infield with Xander Bogaerts. Matt Huegel, the Managing Editor of SoxProspects.com, wrote a great piece on Sam Travis which discusses both his character and hitting prowess. Travis is obsessed with winning, which is not always a common trait in the minor leagues, where most players are focused on personal development. This is not coming at the expense of his performance, as he has impressed many with his play in spring training and the beginning of the regular season. As Red Sox director of player development Ben Crockett notes, Travis hits the ball as hard as anyone, and he expects home-run power to develop as the 22-year-old continues to gain experience. With Pablo Sandoval going on the disabled list, the Red Sox called up Josh Rutledge to provide depth at the hot corner. Rutledge appeared in 39 games with the Red Sox last season, batting .284 with a .333 on-base percentage while splitting his time between third base and second base. To make room for him on the 40-man roster, Brandon Workman was moved to the 60-day disabled list after getting Tommy John surgery last season. An 18-year-old starting pitcher for the Greenville Drive earned a lot of praise after his start last week, but it is probably not who you are thinking. Roniel Raudes has started the season with 10 innings of one-run ball, with one walk and nine strikeouts while facing players who are four years older than him. Josh Norris of Baseball America came away very impressed with his poise and command. The other 18-year-old for the Drive, Anderson Espinoza, is off to a pretty good start as well, allowing three runs over 10 innings while striking out nine without walking a batter. Speier talked with Espinoza through a translator, and he discussed his lofty goals for the 2016 season and his confidence in his future. The fans in Salem better enjoy seeing Yoan Moncada and Andrew Benintendi while they can, as they will not be there for more than half a season if they keep up their current pace. Moncada is batting .333/.444/.528 with 10 stolen bases and as many walks as strikeouts. Not to be outdone, Benintendi has gone .326/.396/.651, with five triples in his 43 at-bats. While history suggests the Red Sox will wait until closer to the All-Star break to promote them, it is clear that they are not being challenged right now. Fans should keep an eye on the progress of left-hander Eduardo Rodriguez, as he appears to be close to beginning a rehab assignment. Brian MacPherson of the Providence Journal notes that Rodriguez tossed 50 pitches in a three inning game in Fort Myers, Fla., last week, and he is scheduled to throw 50 more today. If all goes well, he could be pitching for one of the affiliates on Saturday. The Sea Dogs got some bad news last week as outfielder Henry Ramos was placed on the disabled list with a sore knee. Ramos missed most of the last two seasons with leg injuries. Cole Sturgeon was moved down from Pawtucket to fill his spot. Marc Brakeman, who received an over-slot signing bonus as a 16th-round pick in last year's draft, was assigned to Greenville, and he made his first start of the season on Sunday, allowing two runs while striking out four over four innings. 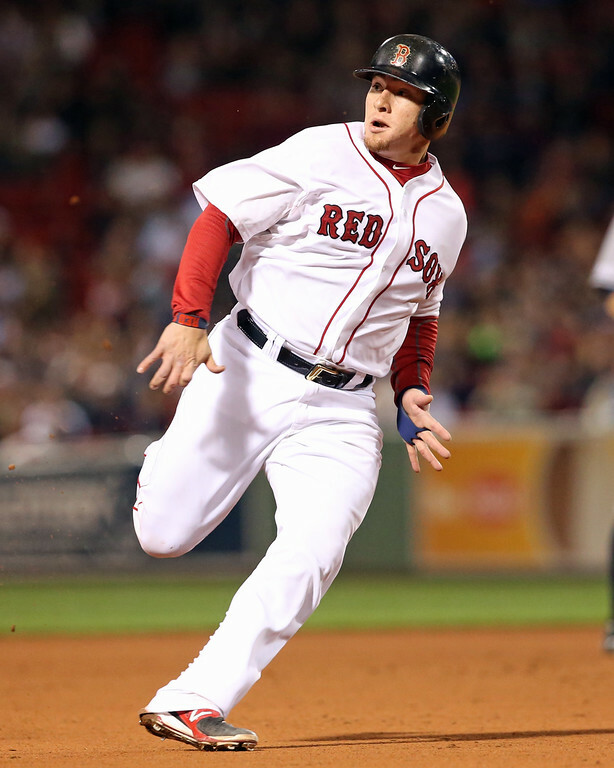 The Red Sox signed Wesley Wright to a minor league deal and assigned him to Pawtucket. The left-handed reliever has spent parts of eight years in the majors, with an ERA of 4.16 over 307 innings. He has held lefties to a .647 OPS, but has struggled against righties, as they have an OPS of .829 against him. This is Ockimey's first Player of the Week award, as the 20-year-old reached base 13 times over six games. His OPS is currently 1.087 on the season, and he already has three home runs over nine games after hitting seven over 101 games last season. He is currently ranked 37th in the system, but if he continues to flash good power, his prospect status will be on the rise. It was a great week for pitching, as Kuehl McEachern, Jeffry Fernandez, Chandler Shepherd, and Heath Hembree all had dominant performances out of the bullpen, but Wilkerson's two great starts were enough to earn him the top spot. His ERA now sits at 0.54 over 16 2/3 innings this season, with 22 strikeouts and only three walks. Signed out of the American Association of Independent Professional Baseball, Wilkerson was recently named one of baseball's most compelling fringe prospects by Fangraphs.com, as they are looking for under-the-radar prospects with strong statistical results.